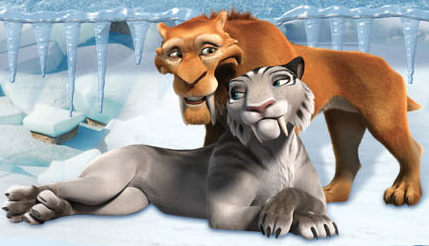 Diego and Shira <3. . Wallpaper and background images in the Ice Age club. This Ice Age photo might contain panther and harimau kumbang.